PPC Members click this option for free registration to this event, note THIS DOES NOT COVER THE COST TO ENTER THE OC FAIR OR OC FAIR PARKING. Come join us at the OC Fair for an evening of Fun, Photography and Friendship and Fairing (OK Sharing at the Fair)!! Fun: Who doesn't love the fair!! 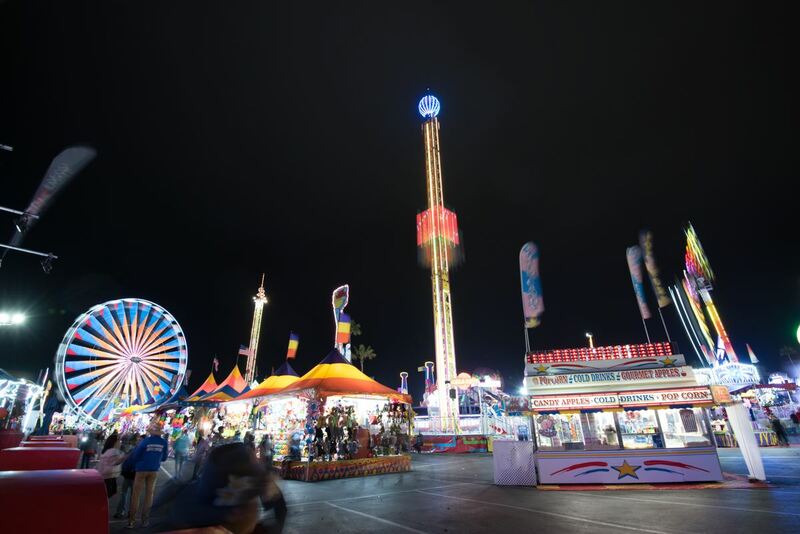 Lights, Rides, Fair Food (Deep fried something) and did we mention LIGHTS!! Photography: This is really cool, Yes anybody can bring a camera to the OC Fair, but our group will be allowed to bring Tri-Pods and we will be supplying Studio Lighting gear to some Model work and Portraits of REAL PEOPLE. 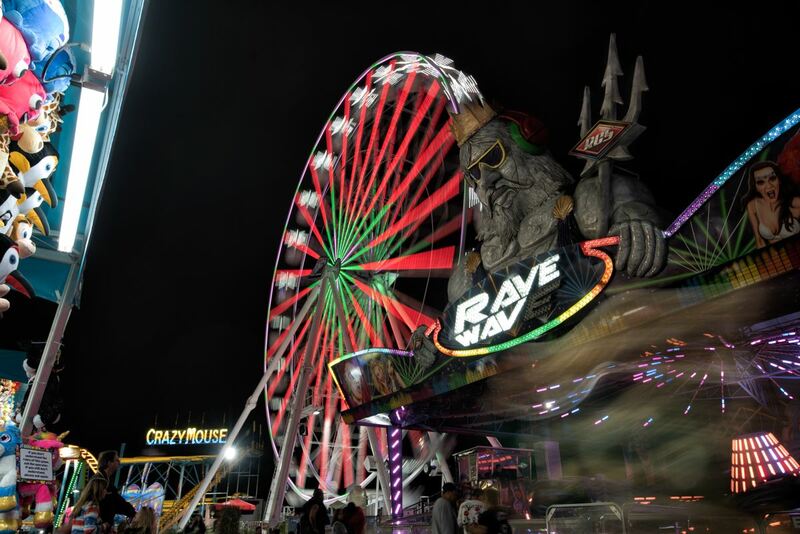 - The OC Fair DOES NOT ALLOW THE GENERAL PUBLIC THIS PRIVILEGE!! THIS WILL BE FOR PPOC AND PPC THIS ONE NIGHT ONLY!! Friends: PPC and PPOC members, spouses and anybody you wish to bring. FAIR ADMISSION TO BE PAID AT THE GATE or ONLINE. Fairing (Sharing at the Fair) we will be sharing tips, tricks, ideas on how to create Motion/Freeze frame or Long Exposure portraits at the fair with full studio lights. As there are so many different lighting challenges and ideas this will be a VERY RARE OPPORTUNITY to try, experiment and create AWESOMELY UNIQUE PORTRAITS for your own use, portfolios and fine art collections. If you wish to bring a tripod please bring it to the Santa Ana Center for the Digital Arts at 310 W. 5th St. Santa Ana CA 92701 on Saturday July 28th before 5pm. The Santa Ana Center for Digital Arts is the location for the PPA Quarterly Meeting. We will have a member of PPOC deliver the Tri-Pods to the Visual Arts Center at the OC Fair by 7PM so they may be tagged and cleared by security. Once inside the OC Fair please be at the Visual Arts Building Stage to pick up your equipment by 7pm. Studio Lights will be supplied by PPOC for use in Designated areas of the fair. If you can not be there by 7pm we will have a PPOC member available to meet you to get you your tripod. PLEASE NOTE: SECURITY WILL NOT ALLOW TRIPODS THROUGH THE MAIN GATES. If you have any questions, you may contact Duane Murphy at 714.863.2126 or by email at duane@ShashinPhotography.com. Register now as space for this event is VERY LIMITED.